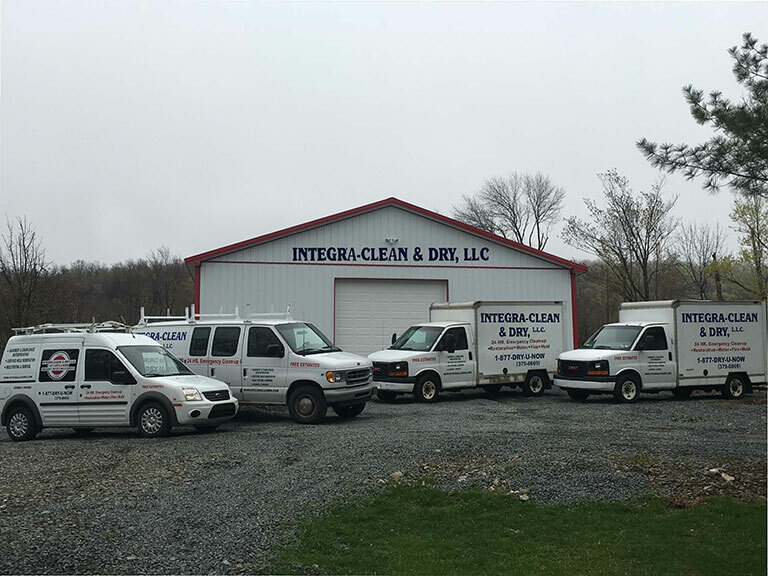 Integra- Clean & Dry LLC are mold removal specialists with 25 years of experience. They specialize in basement waterproofing, crawl space moisture control, mold remediation, mold removal, mold remediation services, basement water damage repair and have thousands of customer reviews proving that they are a professional and caring company. Whether you’ve done an at-home mold examination with a kit or you suspect there might be mold in your home, Integra- Clean & Dry LLC can help you discover the source of the mold and help you remediate and prevent it from coming again. So you have a mold problem and need to find a mold removal contractor. The first step is to determine the danger of the mold you have. It is always best to leave this to a mold removal specialist. You want someone with experience, since mold is toxic to your health. Long term affects can be deadly. Especially black mold. Choose a place that has been around for awhile and has good reviews. Call them and make sure they have good customer service. Integra-Clean & Dry offers all these services and more. Basement waterproofing will help prevent mold. Integra-Clean & Dry are mold removal specialists. They will remove all toxic mold and waterproof your crawlspace. Don’t be afraid to ask plenty of questions. The best kind of mold removal contractors are the ones you don’t need to call back ever again! From experience and my neighbors experience the very best mold removal contractor is Integral-Clean & Dry. Northeastern PA’s solution to crawlspace and basement waterproofing, moisture control, mold removal, flooded basement and disaster recovery! You’re one stop shop to protecting your investment. With over 25 years of experience they know what they’re doing! They are top rated from Home Advisor for the last 5 years and have the stamp of Elite Service! Is it 2am and the pipes burst? Not to worry. They have a 24 hour emergency hotline) The north east is commonly known for having a lot of moisture after the winters. Don’t be caught with mold (but if you are don’t worry they got you covered too!). Call Integral-Clean & Dry today! First, let’s try to troubleshoot whether or not you have mold in your home. Chances are, if you suspect there’s mold, there probably is, because mold has a distinct look and smell, but it might not be the case. Mold is not always black, it comes in all sizes and colors from black, orange, blue, white, yellow, or green. They can have different textures, like flat or hairy looking, and they can be find indoors and outdoors. Indoor mold is the most dangerous because the area doesn’t get ventilation and it would take longer to dry, causing mold in the first place. Black mold is a toxic kind of mold and it can be dangerous to anyone that comes into contact with it. If you moved into a home and suddenly your family is getting sick all the time, it could mean you have black mold in your home and you may need to contact a mold removal specialist to come inspect your home and find the problem areas that are causing your family to have a lower immune system. Of course, consult your Doctor for any changes in your or your family’s health or a vet if your pets are experiencing sudden health problems. Mold smells musty or like mildew. You might find it similar to the smell in the air right before it rains, or a piece of cloth left damp for a long time. When you walk into a room you might feel the air thicker, damp smelling, and you might start feeling dizzy and cough or sneeze. These don’t always happen. The most common is the mildew smell. What are key signs of mold? Mold can be visible or not, can be smelled or not, but if you smell or see spots of mold, call a mold removal specialist immediately. There are also symptoms that you or family members might be experiencing that are a sign of mold present in your home or in their place of work. A sudden fit of allergies that won’t stop, asthma being triggered often, respiratory and breathing difficulties, coughing and sneezing, sinus infection or pain in the sinuses, kidney or bladder discomfort, fatigue, headaches, nausea, vomiting and diarrhea, redness and itching in the eyes, mouth and nose. If your family suddenly start experiencing these symptoms, consult with your primary care physician and call a mold removal specialist if there’s no improvement in the health. If you have these symptoms and see mold present by appearance or smell, call a mold removal specialist right away. If this is in a place of work, let a supervisor know because it is a health concern. What to do if One Suspects there’s Mold in Their Home? Stay out of the affected area you suspect there’s mold. If you have little kids, try to isolate the area so they don’t come in contact with it. Turn off the HVAC systems and fans; so that, the contaminated air doesn’t re circulate, contact Integra- Clean & Dry LLC so they can come to inspect your home. Don’t touch the mold, don’t blow air across the surfaces where you suspect there’s mold or where there’s visible mold. Don’t try to wipe or dry the area yourself and don’t spray bleach or disinfectants on the mold. This step is the most common people will try to do on their own, but it can result in further mold spreading. A mold removal specialist will inspect your home until they discover the source of mold. There might be a leaking pipe, or any other water damage that has gone unnoticed from you or the previous owners. Whatever the source of mold it is, our specialist are trained to do mold remediation and restoration. They will also check for any need for basement water damage repair, crawl space moisture control, and waterproofing in specific areas of your home. 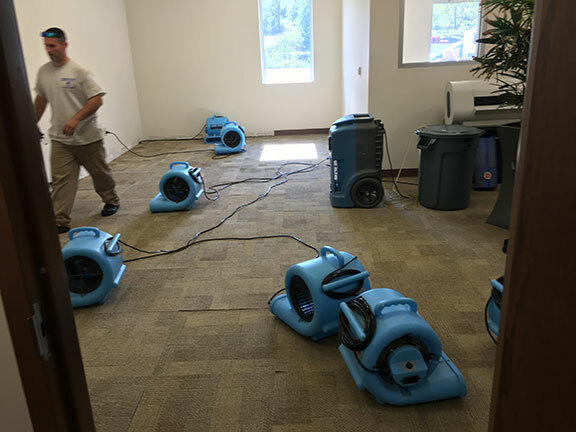 These little and less supervises spaces are commonly the victims of water damage or dampness and the mold can go unnoticed for a long time. We strive in helping you restore anything that was affected by mold and try to bring it back to life to it’s natural state.